The ski area of Jackson Hole is a down-to-earth casual resort, while the Town of Jackson (12 miles from the resort) definitely has a cowboy flavor. The term "Jackson Hole" received it's name from earlier trappers who consider the valley as Jackson's trapping hole. The ski resort of Jackson Hole was established in 1963 on Rendezvous Mountain, on the eastern side of the Tetons. The airport (JAC) is the only commercial airport authorized by Congress on National Park land. As you drive from the airport to town, look to your left and you can often see thousands of elk in the National Elk Refuge. The average temperature in winter ranges from 25 degrees in January to 38 degrees in March. With its awesome advanced skiing and exciting nightlife, Jackson Hole rightfully remains one of the nation’s hottest ski destinations for your next ski vacation. Located just 22 miles from the Jackson airport (JAC) and 90 miles northeast of Idaho Falls (IDA), Jackson Hole is a 2,500-acre ski resort with a jaw-dropping 4,139 vertical feet. It is world-renowned Forbes Magazine 2013 top ten resorts) for its deep powder (average of 500 inches a year) and expert ski terrain, as well as its amazing, breathtaking views of the Grand Teton. Jackson Hole is primarily thought of as an advanced skier’s mountain because of photography taken off of Corbet's Couloir, S and S, and other runs off of Headwall and the Casper Bowl. Note-The Casper Bowl chair does not go to the top of the ridge-line. BUT there is plenty of room for novices. Jackson Hole’s beginner terrain is equal in size to half the size of Aspen Mountain. Most of the beginner in the resort is located at the bottom, right corner of Jackson Hole Mountain. The Casper Bowl triple chair opened up almost all of the mid-mountain terrain to intermediate skiers. The town of Jackson is exciting and an authentic little town to vacation. 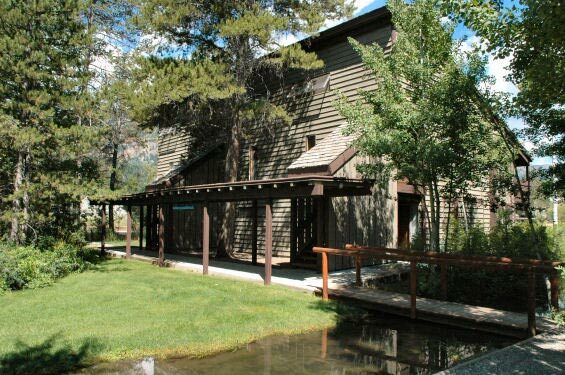 Lodging is found in or near the Jackson Hole Ski Resort or 12 miles away in the Town of Jackson. The Town of Jackson is mostly economical hotel accommodation although efficiency type units can be found at both the Elk County Inn and at the Cowboy Village. Many of these lodges offer their guests private hourly shuttles to or from the resort in the morning and afternoon. Winter is the off season for the town making the accommodations very reasonable priced. The Town of Jackson offers an endless variety of restaurants, shops, and nightlife. The resort area of Jackson Hole also known as Teton Village provides a wide range of lodging opportunities. Moderate hotel accommodations to deluxe four bedroom condominiums and even some homes are available for rental. At the original base area, near the Tram and Clock Tower, you will find several hotels and some very deluxe condos. Access to the slopes is done on the Tram which is for more advance skiers, Bridger Gondola for the more intermediate skier, or the Teewinot Chair for the beginner slopes. 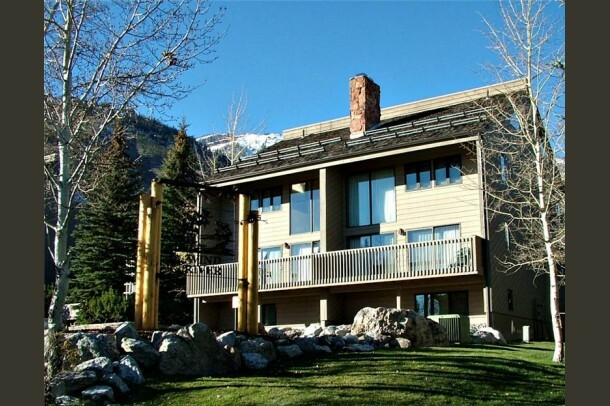 Left of Teton Village offers both home and condos rentals. The condos range from studio to deluxe four bedroom units. These four bedroom units are 2,500 sq. feet three levels. Many of these units can be considered as ski in, ski out or slopeside. If your lodging is located on Michael Drive you would probably use the Moose Creek Quad to gain assess to the mountain. Should your lodging be located on Rachael Drive it might be easier to catch the resort shuttle that runs about every 15 minutes.